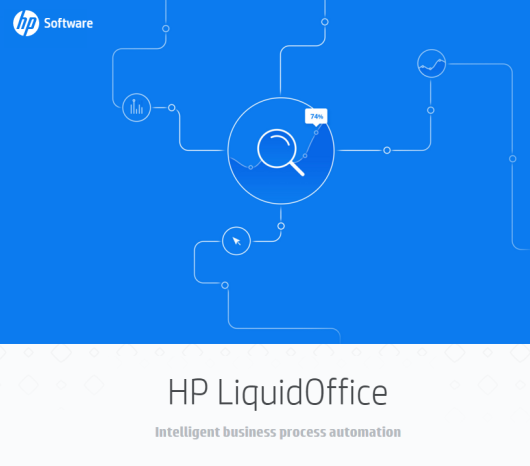 HP LiquidOffice (formally HP Process Automation) is a Business Process Automation tool that provides a web-based solution for creating, deploying and automatically managing the routing, tracking and approval processes for electronic forms. LiquidOffice is the fastest way to put new and existing forms and processes online so you can save time, money and improve productivity. The main difference between Business Process Automation (BPA) tool and Business Process Modelling (BPM) tool is in approach to automating business processes. BPM practice asserts that before any process can be automated, it is necessary to define all of the business processes running inside the domain of endeavour. From this the processes can be re-defined and where necessary optimised and automated. The BPA approach states that until a process is automated, there is no real value in analysing and defining it, and that the cycle of business change is so rapid there simply isn’t time to define every process before choosing which ones to address with automation, and that delivering immediate benefits creates more value. • Digital signatures and stamps on electronic forms.